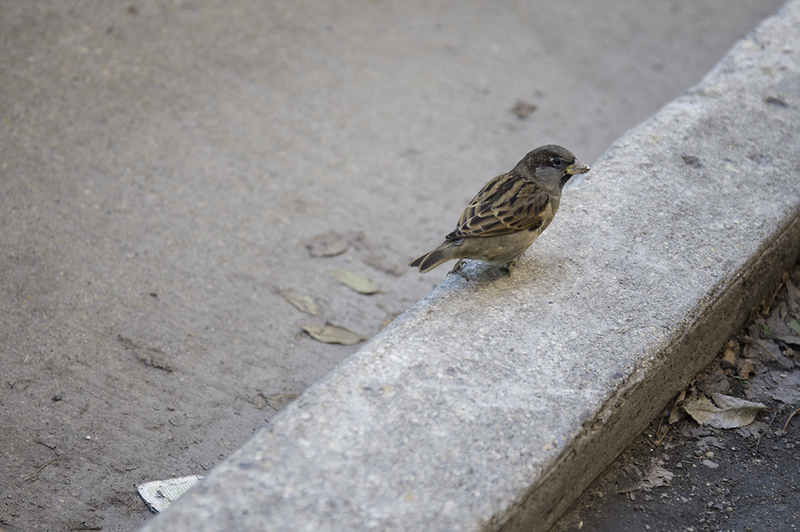 House Sparrow. Life on the streets. Downtown Winnipeg.